If you want to add a frequently – contacted email to your contacts for easily emailing, please see instructions below. There are two ways to add an email address to Gmail contact list. In the Inbox, click the down arrow button shown below and select “Add to contact list” to add that email address to your Gmail contacts. It is so easy, right? 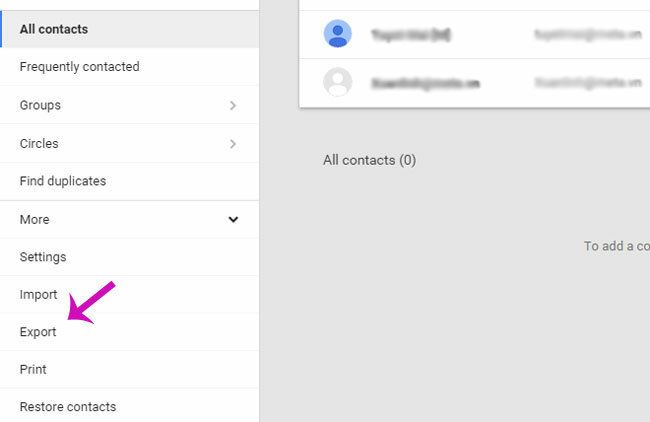 Step 1: Log in your Gmail account, click the word Gmail on the top of the left corner ( as shown below), select Contacts. Step 3: Enter the email address you want to add into Email box, add more information such as phone number or date of birth if you want. Gmail will automatically save them, so all you have to do is simply entering the email. Back to the Contacts and you’ll see the new email address has been added. 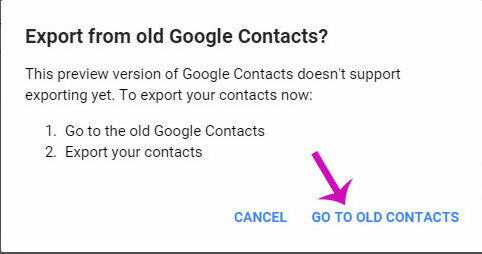 If in some days, you realize that you don’t want to use Gmail anymore, but you also don’t want to lose your frequently contacted email addresses, you can export contacts in Gmail to transfer to your new email service. You’re also able to apply this trick to backup the email addresses that you frequently contact with in case Gmail down. 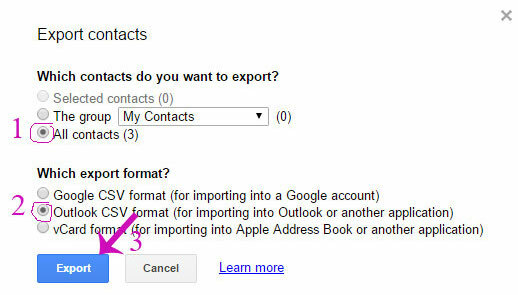 In this article, I will introduce you on how to export and backup contacts in Gmail as well as export contacts in Gmail to other Gmail accounts, Outlook account or another email. 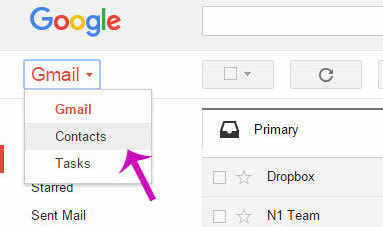 Step 1: In the Gmail web interface, click on the down – arrow next to the Gmail item (on the top left) and choose Contacts. Step 2: Choose More-> Export in the Menu on the left. Step 5: Choose the contact list that you want to export. Here, I will choose All contacts to export all of my contacts. And select which formats you want to export. 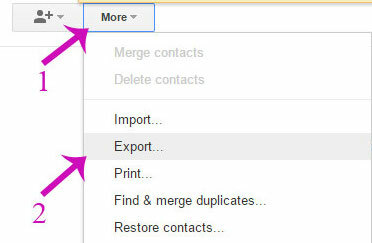 If you want to backup your Contacts or import it into another Gmail address, then you select option 1. Select option 2 if you want to use Outlook or Hotmail and the 3rd one if you use email service of Apple. After having selected, click on Export. Step 6: Now, CSV file will be downloaded to your computer. You can use this file to add your contacts following the option you select in Step 5.